I had read abt this English Tea Sandwich long time back somewhere and have been wanting to try since then. Finally the day has come. I really don’t know much abt english tea sandwiches so google for more info. Sandwich is pretty simple. No wonder.. it has to go with tea and so has to be simple to put together quickly. Spread some butter on bread. Put some cucumber slices. 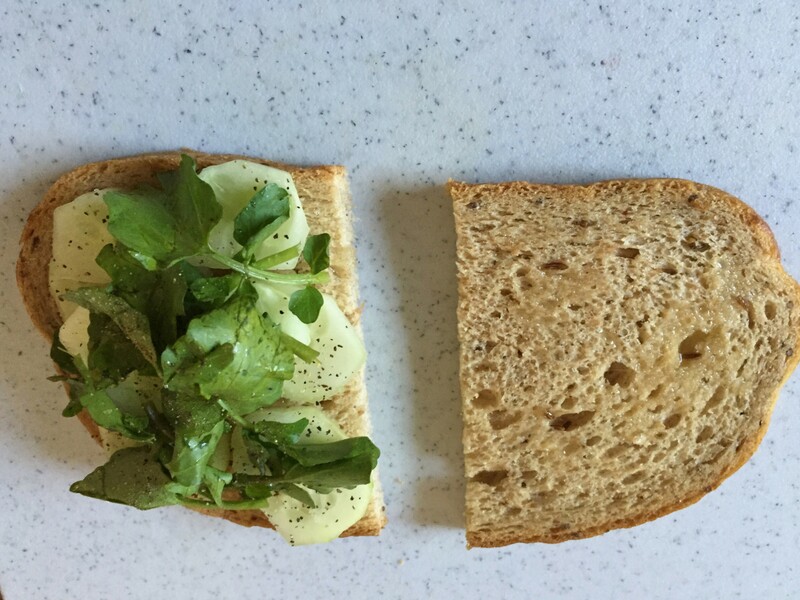 And there’s the extra ingredient which elevates simple sandwich to extra healthy level and that is “Watercress”. Watercress is grown in water and is rich in minerals. There’s some interesting info on net abt it. So google to find more abt it. Everywhere it says watercress has peppery taste but i feel it’s more like “radish”. It does have sharp flavour. Oh and sprinkle some salt, pepper. 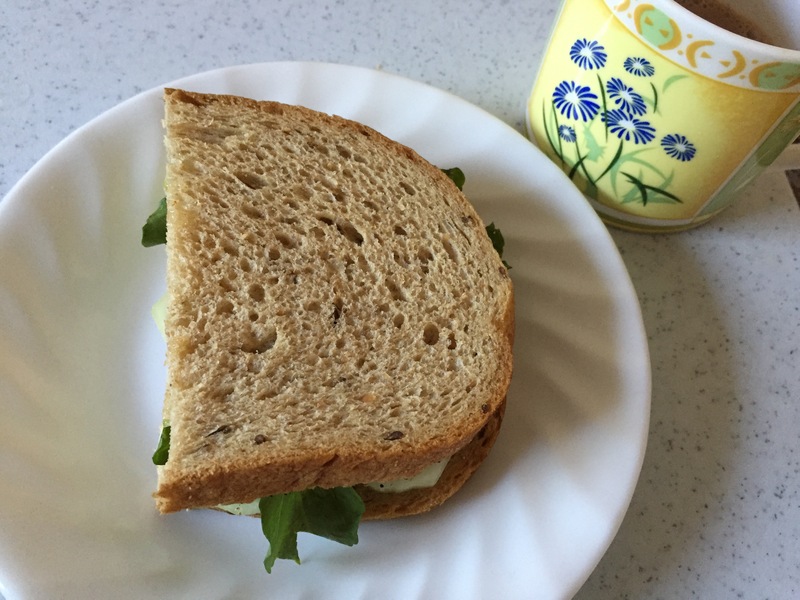 Close your sandwich and enjoy with tea. I also tried watercress on avocado like a salad and it was good. So you can throw in your salad too for some nice flavour and watercress leaves are crunchy which i really liked. Try it out if you find watercress. And yes, wash watercress well before consuming since it grows in water. Give it extra rinse.